Love has many forms and similarly there are different types of beauty. Someone can love a sibling (still don’t like that word) in a different way that one loves their partner and even their mother or father. Love towards brethren is also different because sometimes we do not chose brothers; especially those who claim to be adherents of a spiritual path! Love is not always a pleasant experience as one of the most damaging things that occurs to someone is unrequited love. This can be so difficult for the one in love because the object of their devotion may feel little or nothing of their own feelings. Posing the painful question how can someone I love, not love me back? Love does not last in a relationship as sooner or later it runs out and what really lasts is friendship. A common adage that some mothers say to their daughters is marry your best friend which is something worth pondering about. Some men are looking for the untouched beauty that will drop out of the sky into their lap on a sunny day. Some women are waiting for their knight in shining armour to come and rescue them from a life of celibacy. Okay you were both dreaming and this ain’t going to happen you’ll have to accept that your partner has flaws as you yourself have flaws. It does not work that way, marriage is about hard work it’s not as simple as it seems. People look for different things in marriage; men have desire to copulate and women desire security. So at times both want separate things but the union of the sexes fulfils both needs. Beauty is something that cannot be defined in people. As some people do not have obvious beauty and others do. You may see someone who looks attractive but they might be repulsive to someone else and yet someone who is not attractive on the outside may be attractive in terms of their character. Some people can become arrogant because of this and see others as lower than themselves. How beautiful am I and how ugly you are! Some people who are not beautiful at first sight can at times become more beautiful as the days go by. This type of beauty is something very strange and does not happen often. When we look for a partner are we looking beyond the physical but males often do not. If you are female you might be looking his bank balance. These are unfortunate facts of life and just because someone is religious does not mean they look beyond this. Beauty can make a fool out of you because you are chasing something that is not yours to own and even if you get it, it won’t last. Will you still love them when they are not as beautiful as they once were? You see because of this outward attachment to beauty men look for and women seek to fulfil it. It is not uncommon for a woman to beautify herself. This is part of their natures yet as Muslims there are lines draw for us to follow. Men like to look at foreign women and some women enjoy the attention and many do not. Many of us are attached to outward beauty in this life. As Muslims we know beauty has different forms as we know that the most beautiful human being was Muhammad (may Allah bestow peace and blessings upon him). There is no human being described in such detail as he was. His beauty was immense and overwhelming yet it was almost inaccessible to some people as those who described him were mostly children not adults. To many Muslims loving the Prophet (may Allah bestow peace and blessings upon him) is the only subject yet this is at the neglect of many other important subjects. So you won’t find it uncommon that men love another, but in this case this is more than just a man, He is the best of creation. Emotions do not last and sooner or later run out. The beauty of someone goes as ages come to them and the love goes as the sands of time drain away. So be careful what you look for in a partner as making the wrong decision could cost you dearly. Yet because we are all looking for something to cherish know things that disappear with time are not worth cherishing. Only Allah (the Exalted) is everlasting and that is who we should love. The greatest pleasure of paradise is gazing at Allah (the Exalted) this is greater than anything we could ever experience. Loving what Allah (the Exalted) made obligatory makes your life easy. If you look at the Masjids across the Islamic world there is one common denominator, beauty. From the shores of Morocco to the heart land of Medina; beauty is something that is part of the aesthetic of every masjid in the world. We love beauty because it’s part of our being, whoever we are. Yet in these modern times we have been brainwashed into thinking there is one type of beauty and anything else is ugliness. It does not work like this and beauty can be found in many people and in so many things. Love is important but not as a goal in itself as it completes things. The hadith of Umar (may Allah be pleased with him) does not mean you need love and that’s it. You need action; you need to follow up on the Sunnah of the Messenger (may Allah bestow peace and blessings upon him) because that is the only way that you can attain closeness to the Creator. Then your fellowship is complete and it is beautified by love. The problem that I see here, on a daily basis, is that there is very little in terms of fellowship or action. Instead there is the disillusion that love will save them. How can it when our actions are against the Sunnah and we think that we are going to attain salvation without performing the actions of those who have attained salvation? It’s like loving our partners but being involved in an adulterous relationship. We live under the illusion that our partners might not ever leave us and take the kids. When we know they will and they do. So when are you going to wake up? Or its like taking the icing of a cake and pretending thats the cake! The core of the cake is important as the icing. But when there is no cake you cannot convince that the icing is all I need! People have to awaken their minds or else suffer thinking that they will arrive on the day of judgement with good actions but instead receive bad news not good news. Then it’s too late to go back and change anything. Our love is insincere and unfounded. One of the many side effects to insincere love is when people claim to love the family of the Beloved (may Allah bestow peace and blessings upon him). This is something that does not exist now except in mere words and in the pages of books. Otherwise this proven practice of Islam has been destroyed a long time ago. Not by those who do not claim to love the family but by those who do. Many groups try to use this love and twist Shia tendencies into Sunni Masjids. When you follow someone’s footsteps it has to mean more than mere words. Words with action mean so much more than words bereft of action. This is something missing in many people. The solution is to follow up on the Sunnah and start with yourself. Stop lying; cheating, cursing, attacking people and you’ll see things change. If you meet someone of the family/Ahl Al-Bayt then be kind to them. Your fellowship of the Sunnah means the practice of the final Messenger (may Allah bestow peace and blessings upon him) is still alive and your role in this is paramount. So put one Sunnah into practice and change your life for the better. You have but one life to live and you should follow the best person there ever was. Our love is not true and our actions are not actions of those infused by his (may Allah bestow peace and blessings upon him) example. They are instead the actions of those who are infused with partisanship and racism. That is the sad reality of the situation that we find ourselves in. We have too many self righteous people pretending to be standard bearers of their teachers but in reality they are the causes of tribulation in their respect regions. We really need honesty in this time. The honesty that shone from every moment of our Prophet (may Allah bestow peace and blessings upon him). How far are we from those who are honest and those who have the true understanding of this religion. Many are thirsty and dying because they do not have knowledge of what Islam is. But my greatest fear is that they have already met one of us which made them flee from the religion like an arrow leaves the bow, never to return again because we have shown them the worst of our actions and nothing of this amazing religion. If you think that this is too much then ask yourself these tough questions; am I following the Sunnah? And what does my love mean when it does not inspire me to act? After ablution/Wudu, stand on Massalla/prayer mat or clean mat. In the direction of Mecca/Qibla. Make intention to perform a particular Salat/namaaz. And raise hands to the level of the ears and then down onto waist, below the navel. Clasping right hand over left. (In the name of God the most gracious, most merciful. Qul huwal la hu ahad, allahus samad, lam yalid wa lam yulad, wa lam yakullahoo kufuwan ahad. 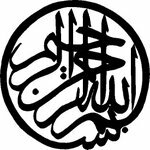 (He is Allah, the one and only, the eternal, absolute: he begetteth not, nor is he begotten, and there is none like unto him. When you are fully standing say ‘Rabbanna la kal hamd’. Say ‘Allah u akbar’ and prostrate on the floor. Forehead, nose, palms of both hands, knees, both feet should be touching the ground. Fingers straight, in Qibla direction. Then say ‘Allah u akbar’ and sit back on left foot while right is under the thigh. Or any other Surah you know. Say ‘Allah u akbar’ and bow on the floor. Forehead, nose, palms of both hands, knees, both feet should be touching the ground. Fingers straight, in Qibla direction. While in that position repeat 3 times ‘subhana rabbiyal a’la’. Now you have completed two units of a prayer and if that is the correct amount then recite the final sitting (directly below). If you are praying a four unit/rakah prayer then repeat the steps from the first Sura Fatiha, in order to complete two more units, and then say what the final sitting requires which is directly below. If you are praying three units then start from Sura Fatiha and finish with the statement as below. And the third and fourth units of the fard prayer need no extra recitation after sura Fatiha. allhumma sali ala Muhammad in waala ale muhammadin kama sallaita ala Ibrahima wa ala ale Ibrahima innaka hamidum majid. Allahuma barik ala muhammadin wa ala ale Muhammadin kama barakta ala ibrahima wa ala ale ibrahima innaka hamidum majid. ‘assalamu alikum, wa rahmutullah’ and then repeat when turning to the left. Your prayer is now complete and now supplicate for oneself and the Muslims. And read: ‘Allahumma inna nasta eenuka wa nastighfiruka wa numinu bika wa natawakkalu alaika wa nusni alaikal khaira wa nashkuruka wa la nakfuruka wa nakfula’u wa natruku manyyaftjurka allahumma iyyaka na buduwa laka nusalliwa nasjudu wa ilaka nas’aa wa nahfidu wa narjoo rahmataka. Wa nakhsha athabaka inna athbaka bilkuffari mulhiq. Then say ‘Allah u akbar’ and carry on as per normal prayer. Isha 4 units and 3 witr are wajib/necessary. Here is a complete prayer rakat guide, check local mosque for correct prayer times. If you are struggling then please seek assistance or simply attend a prayer and see what they do. Please note that there are differences and this is the basic prayer. more can be added later when you are ready, by adding all the sunnah parts of the prayer. The story of the first man is something that has caused much reflection over many centuries. This is of course referring to the exchange that occurred when Adam (upon him peace) was created. And then Allah (Almighty and Majestic) ordered the angels to prostrate to him. This was not a prostration of worship, as some claim, rather it was a prostration of respect. They all prostrated except one individual who was with them but was not of them. Satan was with the angels because of his obedience and righteousness yet he was from the Jinn and like man he had the option of whether to obey or not. Unlike the angels, who were created for obedience; so it was something they did instinctively. As for the Jinn they could disobey or they could obey like mankind. Satan refused to obey the command then Allah (the Exalted) asked why. Know that Allah (the Exalted) did not need to ask for Himself but this was done in order to manifest what was in the being of Jinn. His response was something that was not according to his previous behavior. He said that he was better than Adam (upon him peace) as he was created from fire and Adam (upon him peace) was created from clay. He saw his being as more important than the being of Adam (upon him peace) yet he had failed to grasp the most important point which was to obey Allah (Almighty and Majestic). Disobedience in the court of the king is not that the same as disobedience out of the kings court. Thus he was cursed and he promised to mislead all of mankind except those who are made sincere as they are the elite of the servants of Allah (Almighty and Majestic). Going back to his disobedience we can see that he refused because he saw his self as better than Adam (upon him peace). Yet, this was not about the substances that they were created from, this was about the command of Allah (Almighty and Majestic). Satan had to obey when he heard the order yet he refused and in this refusal he rejected Allah (the Exalted) because Adam (upon him peace) was a representative of Prophethood. Prophets were sent to man to be obeyed by the permission of Allah (the Exalted). Here, satan asked for assistance from Prophethood but disobeyed once again. He was the first to disobey and he continued to rebel since. Envy/hasad was the first sin and then disobedience to Allah (the Exalted) because he thought he knew better than to follow a prophet. All of mankind is like this when they refuse to follow the prophets of their time. One of the most repeated stories in the Quran is the story of Musa (upon him peace) going to the Pharaoh to admonish him in an excellent manner. One of the responses of arrogance towards the mighty Prophet was that the Pharaoh himself was a Lord and he attested himself to this! So here, once again, Allah commanded a prophet to go to a tyrant and speak gently. Giving even a tyrant chance to repent. Despite this, he openly rebelled against Prophethood and this was something that would cause his greatest downfall. As he even refused miracles and claimed that it was magic. Here again, we see the Pharaoh follows his self and rejected the guidance that came from Prophethood. Yet, this story comes up frequently in the Quran as a reminder to Qurayesh that their position was not about wealth rather was about their position with Allah (the Exalted). As they were rejecting the Prophet Muhammad (may Allah bestow peace and blessings upon him) because they thought he was lower than them, they even claimed that a king should receive the message. They were like Pharaoh rejecting the message whilst being afraid of losing position and power. The Prophet (may Allah bestow peace and blessings upon him) is the greatest creation and what great loss it is for those who do not see this. If we look clearly at this story we can see that the rejection of Prophethood is rejection of Allah (the Exalted). Nothing hurls oneself into the fire unlike the rejection of Prophethood. In terms of doctrine, a Muslim is he who believes in all what the Prophet Muhammad (may Allah bestow peace and blessings upon him) came with, with the condition that it is definite/qati. (ref: Jawharah Al-Kalamiyyah) This should clarify why is so important to accept Prophethood. The Prophet (may Allah bestow peace and blessings be upon him) described this Surah as the heart of the Quran. And its primary message is accepting Prophethood as it describes some of the followers of the Prophet Jesus (upon him peace) preaching in Antioch then being killed. The heart is the place of belief so when the Prophet (may Allah bestow peace and blessings be upon him) described the surah as the heart of the Quran; he was describing this as place that faith dwells. The Quran is memorised by heart, ponder over this. Important note, a Muslim who does not pray is still Muslim but is sinful for not fulfilling the commands of Allah (the Exalted). A person who prays should not think he is better than someone who does not pray. Often, people who do not pray have no pride just repentance when they supplicate to Allah. Often, the people who pray have arrogance in their hearts. When Allah (the Exalted) looks at peoples hearts, He is pleased with the heart that turns to Him in repentance. So outwardly and inwardly are two different matters, that can mislead one, beware! Simple, ask yourself the easy question how do you find your heart when the command of Allah (the Exalted) comes? Do you hasten to fulfill it as soon as you can or do you delay it or you reject it or do you just sit and wait? When the time of Fajr comes in are you too lazy to get out of bed or do you jump out of bed? Or do you crawl out of your bed? Or do you ignore it and obey yourself? Are you listening to your laziness? Is that better than listening to Allah? That extra ten minutes of sleep often means that you will miss the prayer. When you obey yourself you are rebelling against Allah (the Exalted) in your heart. This is also done by lack of action of the limbs, external or internal rejection. Often the limbs reciprocate the heart. Whether knowingly or unknowingly you are rejecting God given guidance and preferring misguidance. As for those who delay their actions they still have a station that shall be envied but true envy is for those who hasten to pray when the time comes in. Sins of the heart are as bad as sins of the limbs, see this link for effect of sins post. Also see sins of the heart in Imam Al-Ghazali's beginning of guidance. Yet this is not just about prayer, how do you find your heart when your partner makes demands of you? Do you ignore them or do you attack them with the ferocity of a loin, for disturbing your evening’s viewing? Looking in the mirror of your self is one of the darkest things that you can do but from this bitterness can fruit of sincerity grow. If you look at it and decide to make a change. How is your heart when you hear Quran and when you hear hadith? Does your heart say I am the Lord most high or I am better than him? Look, think ponder, reflect and be honest with yourself because when we meet our Lord we hope to give an honest answer on that day because if we do not we may be punished. People often argue about religion with teachers and this is a bad sign for them. Question them yes but do not argue. When you see someone possess what you do not, do you look down on them? Because you are better? You deserve it and they do not? You are rebelling against the decree of Allah (the Exalted) that gave him that thing. Envy consumes good actions like fire consumes wood so it is not something that you should let yourself to delve into. Following the Sunnah is way that you can escape the mud trenches of your own ego. So warn and admonish yourself when you see it wander over to the pits of disobedience. As the fall in these is great and leads one to greater difficulty. What we want to hear is welcome words of being admitted into paradise because we are pleased with whatever Allah (the Exalted) is pleased with. That is the true sanctified soul that returns to Allah (the Exalted) and is given paradise as its eternal reward. This is only done by following the path of the Prophet Muhammad (may Allah bestow peace and blessings upon him) by the permission of Allah (the Exalted). And do not slip on the slope of our egos as they descend into the pits of disobedience. The danger of self obedience is leaving prophetic guidance and that is the greatest loss. 1. If you do not put work in, how are you going to get anything out? 2. Partisanship is destroying Islam from the inside causing roars of laughter in the corridors of power. 3. Allah gave you a disease so he could bless you with a cure. Then give you a reward for both! 4. Do not wish to change your circumstances because whatever position you are in, you’ll have problems. 5. Opening your mouth is one the mistakes that you cannot take back. 6. You haven’t connected with Allah until you enjoy acts of worship. 7. Is it not strange how we do things differently when we know we are being watched? So then is it not strange that we should have more taqwa if we realised this fact? 8. Its not the words you use it’s the feeling that’s behind them, that’s important. 9. Allah puts up with all your bad character that people cannot bear. So to whom are your loyalties? 10. There is a pleasure in delighting the hearts of a fellow Muslim. 11. People are dying all the time, so why do you think that your time is not due? 12. Death is as close to you as your clothes. 14. Once trust is lost it can never be regained, ever. 15. Whatever you do, do not expect an easy ride. The captain has declared that its not going to be plain sailing all the way, it’s going to be rough in some parts. So do not surprised when a storm comes. 17. Sometimes you cannot mend what should not have been broken. 18. Giving someone another chance is sometimes like giving yourself a kick in the face. 19. It never ceases to amaze me how people stand on legs of fresh air! 20. When you are given clear signs, go for it and do not hesitate as your loss maybe too difficult to bear. Youth, Politics & Islam - Imam Zaid Shakir from Tariq Subhani on Vimeo. The Four Schools or follow Quran & Sunnah directly?